This project, done in conjunction with the Hawaii Housing and Finance Development Corporation, provides 118 For-Sale units priced at 140% and below median income. 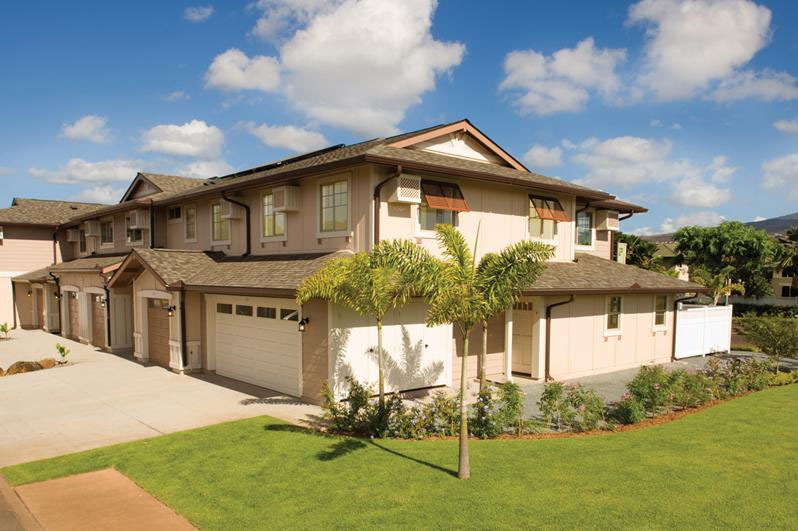 Located in Village 5 of the Villages of Kapolei, these 2-story townhouse buildings offer 2 & 3 Bedroom units ranging from 962 to 1260 square feet. A modest grassed area and picnic pavilion is also provided for the residents. The enclosed private yards and orientation of the units create privacy for each homeowner.